By now, you’re well aware that refined sugar and high fructose corn syrup are notorious hazards to your health. And they were the first things to go when you started the Fed Up Challenge last Monday. But unfortunately, the warnings aren’t always as loud when it comes to popular sugar substitutes. In fact, a lot of people (including doctors) are still under the impression that these diet sweeteners are actually good for you…despite a shocking amount of scientific evidence to the contrary. Artificial sweeteners are toxic chemicals, simple as that. They also set up blood-sugar reactions in your body that will leave you craving sweets, just as if you were eating sugar. 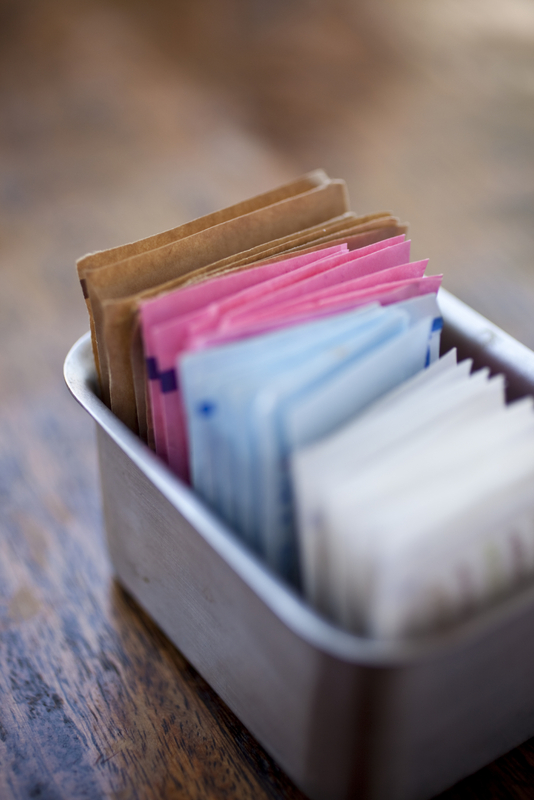 In fact, artificial sweeteners may actually double your risk of diabetes. Study after study has linked these sugar substitutes to overeating and weight gain. So even though they might not spike your blood sugar, they’re still feeding your waistline. And that’s keeping you on the diabetes hamster wheel—not helping you break the cycle. Still, people love their sweets. I’m certainly guilty as charged myself. (Yes, you read that right–I have a major sweet tooth!) So thankfully, there are natural alternatives. They don’t impact your blood sugar negatively. They’ve got zero calories. And yes, they actually taste good! I’ll tell you about them in the next Reality Health Check. (So don’t miss it!) But I want to start with the scary stuff first. Because it’s critical that you evict these so-called “diet” sweeteners from your kitchen ASAP. Saccharin is the oldest artificial sweetener there is. It’s been around since 1878. If you’ve used it, you know it can have a bitter aftertaste. But it has zero calories, which is what made it so popular. Saccharin does not impact blood-glucose levels (because the body does not absorb it). But buyers should still beware. At one time saccharin was linked to bladder cancer in laboratory rats. (Yet the FDA still approved it as a food additive.) And many people remain skeptical about saccharin’s safety, for this very reason. Even so, it’s hidden in many foods, beverages and pharmaceuticals. So be sure to check your labels. You’ll find aspartame in over 6,000 foods and beverages around the world. Aspartame is created from a protein, so your body absorbs it. Which means that not only can it impact blood glucose, but it has a long list of other potential risks associated with it, too. People with PKU, a genetic disorder, cannot metabolize the amino acid phenylalanine contained in aspartame. And one recent study linked diet soda containing aspartame to higher incidence of strokes, heart attacks, and vascular disorders. I wish I could say the risk stops there–but it doesn’t. In fact, the FDA’s initial decision to approve aspartame back in 1981 was controversial, because studies showed that it produced seizures and brain tumors in lab animals. Independent studies have supported these findings and also linked aspartame with mood disorders and migraine headaches. 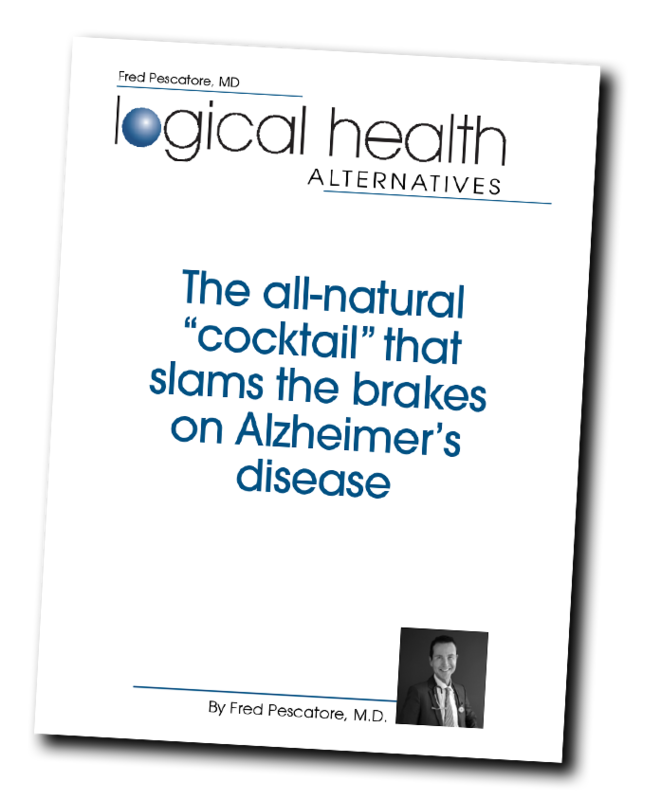 There have also been reports of “aspartame poisoning,” a condition characterized by headaches, dizziness, mood changes, and gastrointestinal problems. It occurs because aspartame seems to affect the levels of brain neurotransmitters like serotonin, tyrosine, dopamine, norepinephrine, and adrenaline. But wait, there’s more…and not in a good “infomercial” sort of way: A group of researchers reported that men showed severe symptoms of hypoglycemia after eating a meal sweetened with aspartame, then exercising. All in all, this is scary stuff, and you should stay as far away from it as possible. Splenda is the only artificial sweetener made with real sugar. But since it’s 600 times sweeter than sugar, you don’t need as much Splenda to do the job. It has zero calories. And it doesn’t impact blood glucose levels, either. But Splenda has its share of controversy, too. One animal study suggested that Splenda could cut the population of good bacteria in your gut in half, increase the pH level in your intestines, and contribute to increases in body weight. Needless to say, these aren’t risks you want to be running. This same study also showed that Splenda might interfere with the absorption of critical medications—like chemotherapy or AIDS drugs. That’s a very serious side effect. So if you’re taking any medication (including blood sugar medications), I advise steering clear of Splenda. Splenda has also been linked with migraine headaches in humans. And animal studies of this sweetener have suggested a higher risk of such problems as: anemia, male infertility, brain lesions, kidney disorders, miscarriages, and even higher death rate in rabbits. Maybe “sickly sweet” is a better way to describe these sugar substitutes. But, again, steering clear of sugar and the toxic imposters doesn’t mean you have to banish sweetness from your life forever. In the next Reality Health Check, I’ll give you the rundown on natural sugar substitutes. Stay tuned! ENDO 2009: Use of Artificial Sweeteners Linked to 2-Fold Increase in Diabetes. 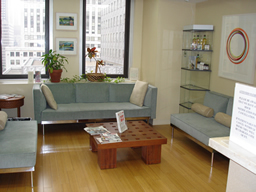 Medscape. Jun 15, 2009. Gain weight by “going diet?” Artificial sweeteners and the neurobiology of sugar cravings. Yale J Biol Med. Jun 2010; 83(2): 101–108. Is Aspartame Really Safer in Reducing the Risk of Hypoglycemia During Exercise in Patients With Type 2 Diabetes? Diabetes Care July 2007 vol. 30 no. 7 e59. Moisse, Kate. “Diet soda: Fewer calories, greater stroke risk?” ABC News. 9 Feb 2011. Accessed at http://abcnews.go.com/Health/HeartHealth/diet-soda-linked-heart-attack-stroke-risk/story?id=12868269&page=3n. Direct and indirect cellular effects of aspartame on the brain. Eur J Clin Nutr. 2008 Apr;62(4):451-62. Epub 2007 Aug 8. Foods and supplements in the management of migraine headaches. Clin J Pain. 2009 Jun;25(5):446-52. Splenda alters gut microflora and increases intestinal p-glycoprotein and cytochrome p-450 in male rats. J Toxicol Environ Health A. 2008;71(21):1415-29. Popular sweetner sucralose as a migraine trigger. Headache. 2006 Sep;46(8):1303-4. Sucralose: assessment of teratogenic potential in the rat and the rabbit. Food Chem Toxicol. 2000;38 Suppl 2:S43-52.